Looking for a new job? Time to tap into your network of connections. Before you reach out to anyone, it is important to strategically prepare so that you can land interview opportunities. Narrow down your prospects based on your career aspirations. Read through online profiles and bios and consider targeting only those that inspire you. Reaching out to everyone and anyone can be counter-productive and may even exude desperation. Compliment each connection by speaking to their accomplishments that motivated you to reach out to them individually. Networking is all about taking interest in someone else and genuinely wanting to get to know and learn from them. Prepare your pitch. Research the companies for which each connection works. Prepare a relative success story from your work history that exhibits how your skills and expertise can supplement their core values and contribute to the company mission. Even better, try to find out a certain initiative that the company is working on, or challenge they are experiencing, and share your thought-out ideas on how you might affect change. Follow up with a thank you letter and customized resume. Reiterate why you would be a great fit, and include a resume that is tailored to the company. Infuse keywords from the job description and/or company website into your resume and showcase quantifiable examples of success. Before a connection recommends you, or “puts in a good word” they want to be confident that you will deliver. Generic, vanilla email blasts, and memorized, robotically delivered elevator speeches will no longer cut in today’s competitive employment market. Nor, will a cookie-cutter resume or an insincere approach. 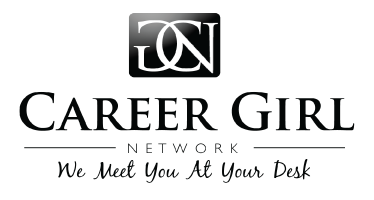 For more free, job-winning tips, resources and strategies visit www.careercoachsally.com.